There are ways to sign up for Google Voice outside of the US, but even if you manage to do so you’ll be left with a US number. That’s a bit awkward if you live outside the US. Google allows anyone to place free calls to the US and Canada from Gmail. However, these calls will appear to come from a random shared number that your recipients won’t recognize. 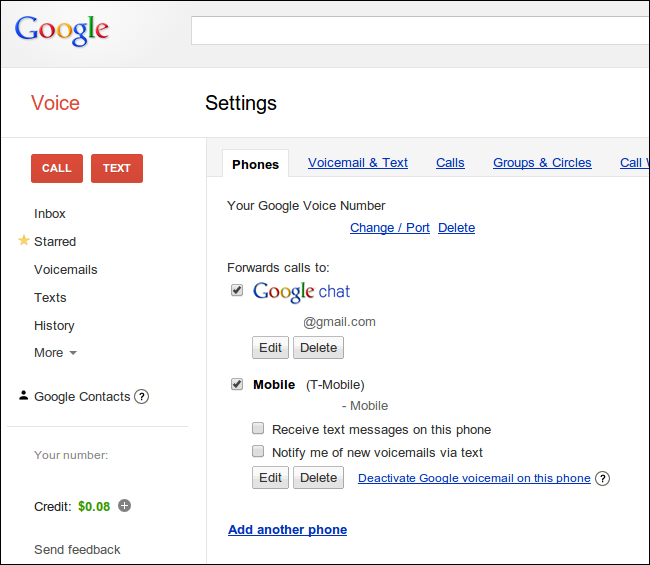 If you switch to Google Voice, calls you place from Gmail will appear to come from your own personal Google Voice number. Best of all, you can even receive incoming calls in Gmail and answer them from your computer. Google Voice integration is now part of Google Hangouts, so it’s also integrated into Google+ and the Hangouts Chrome extension. Google doesn’t yet provide a way to send and receive calls from your phone over Wi-Fi, probably because they’re worried about angering the carriers. However, apps like GrooVe IP and Talkatone allow you to receive and place calls over a Wi-Fi or cellular data connection — no need for cell phone minutes. 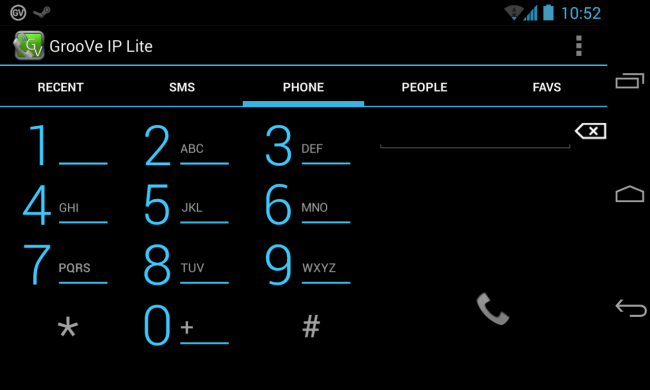 They’re unofficial, but tap into the same support that Google uses for calls in Gmail. These apps can be used by anyone to place free calls to the US or Canada, but they become a full sending-and-receiving solution when paired with a Google Voice account. Google Voice also offers free texting. 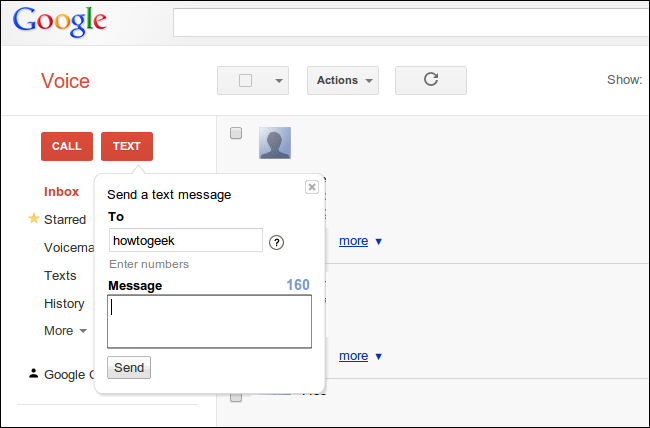 You can send and receive texts in your browser from the Google Voice website or via the Google Voice Chrome extension. The official Google Voice mobile app also offers free texts, so you can text for free from your phone without any unofficial apps. This also gives you an archive of your texts you can search online — you won’t lose your texts when you reset your phone or get a new one. Google Voice gives you a special number that allows you to forward your calls to other numbers. Once you set this up and give everyone your Google Voice number, you’ll be able to more easily switch phones in the future. For example, if you move from one cellular carrier to another, you don’t have to go through the standard process of porting a cell phone number — you can just get an entirely new cell phone number and forward your main Google Voice number to it. Google also offers a way to port your existing phone number to Google Voice if you’d rather not give everyone your new Google Voice number. This is one of the few Google Voice features that costs money — the other being international calls outside the US and Canada. 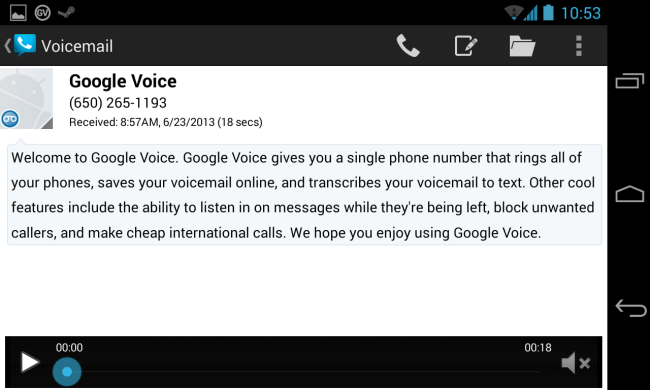 Google Voice provides voicemail, but it doesn’t just give you a piece of audio to listen to. Google Voice uses Google’s advanced speech recognition technology to transcribe your voicemail, turning it into readable text. If Google Voice messes up the transcription or you’d just rather hear the original message, you can also listen to the attached audio file. This service doesn’t just allow you to forward your calls to a single number. You can set up rules and priorities — automatically forwarding calls to your office phone during certain hours of the day and to your cell phone during the rest of the day, for example. You could also have Google Voice ring one phone and continue to other phones if you don’t answer. For example, it could call your home phone, work phone, and then cell phone in order if you don’t answer any of them. For some reason, blocking phone numbers isn’t often easy even though we live in 2013. 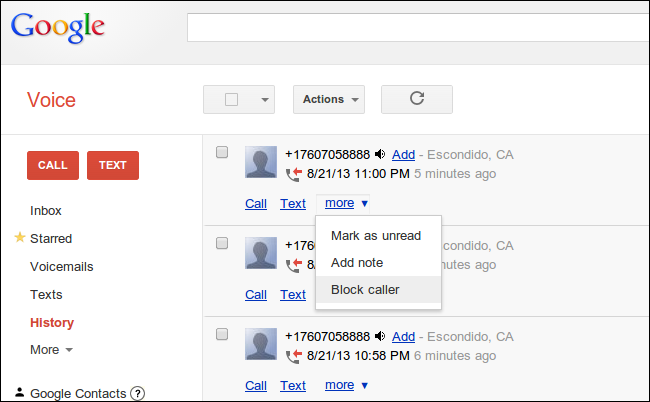 Google Voice allows you to block calls from specific numbers. The caller will receive a “Number not in service” message when they call you, so this may even fool telemarketers into removing your phone number from their lists. Because of the way Google Voice handles call forwarding, you can switch phones during a call. While on a call, press the * button on your phone and your other connected phones will ring. Pick one up and you can continue the call without hanging up — perfect for if your cell phone is about to die or for switching between landline and cell phones on the go. These aren’t the only interesting Google Voice features. Google Voice also offers easy setup of conference calls and the ability to record calls, among many other features. If you’re in the US and haven’t gotten around to looking at Google Voice yet, you should sign up and try it out. As with many Google products in the wake of Google Reader’s shutdown, some people are concerned that Google Voice may be swept away in a round of spring cleaning. It’s impossible to tell if this will happen, but Google told Wired that “Google Voice is obviously a prominent part of our communications team… We’re not going to leave those users high and dry.” in April 2013. Google Voice has also recently been integrated into Google Hangouts. The future might not look amazingly sunny for Google Voice, especially since it hasn’t been rolled out internationally, but there are no real indications that Google is planning a shutdown any time soon.